Feel free to email your comments and reviews and we will publish yours too! 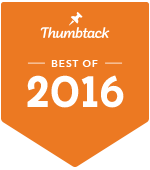 ​Also see our reviews on Thumbtack.com where we are a 2016 Customer Appreciation Award Winner! “Ron Lake is a special kind of healer. He’s a man who puts his whole heart and soul to work for you. Is it any wonder that my cancer doctors are saying things like, ‘You are breezing through your treatments like they are nothing!’ ‘We are amazed at your progress; you have experienced almost no symptoms and show no side effects of the chemo and radiation! "Kristi is a gifted RET Technician. Her ability to read energy is amazing! I am blessed to have the opportunity to work with her. Her beautiful energy is contagious!" "Kristi is by far the most amazing alternative practitioner I have ever worked with." "I am eternally grateful to Kristi for guiding and supporting me through my midlife career transition. Her unique insight and gentle guidance transformed a stressful and confusing time in my life into a joyful journey of self-discovery. Kristi is truly gifted in her ability to empower her students with the skills they need to create meaningful change. She gave me the tools to discover my true life's path, the tools to help me manifest that new reality, and the tools to help me stay the course, both during and after the transition. I credit the success of my business directly to Kristi's presence in my life." "I'm grateful for my RET sessions with Kristi. I have found them to be highly beneficial and easy to do. I feel lighter, happier and experience more ease with myself and others. I've noticed I feel more connected to myself and others, feel more loving and supported and feel much more present in the moment. After just 5 sessions I am impressed with your work and am looking forward to continuing with the process. I'm so happy to be "Dropping so much old baggage" and freeing myself up to create the life I really want rather than just staying stuck in old patterns. I'd also like to say I have been very impressed with Kristi personally, as a practitioner. She is obviously very talented and gifted in this area and has an incredible sense of where people are and how to move them forward. I really appreciate Kristi's kindness and loving support as she works with me. I appreciate her very much and feel blessed to have the opportunity to do this work with her." ​"I love my Skype hypnotherapy sessions with Ron Lake! As a hypnotherapist (instead of a hypnotist) he's a lot more qualified to address a wider variety of issues faster and more effectively. My work with him has resolved issues I've tried to fix with other therapists for literally decades! Skype sessions are a huge bonus! I can have my sessions anywhere I'm traveling to or in the convenience of my home. I really appreciate not having to drive after a Skype session vs an in office session, as hypnotherapy leaves me so wonderfully relaxed. Ron has been available for me for evening and weekend appointments too, which is so helpful with my busy work schedule. I highly recommend Ron to you for hypnotherapy." "Ron has been amazing in helping me get to where I want. I would highly recommend him. He takes great pride in his work and is very good at it. He also genuinely has your best interest at hear!" "Kristi helped me work through the underlying emotional issues that were at the core of my illnesses in a loving, playful and gentle way, and helped me develop the life skills I need to stay healthy and happy. I know now that when my body starts hurting that there's an issue I've not been dealing with fully and because I catch it quickly the issue doesn't build up causing sleep disruptions and physical illness. I haven't had an Epstein - Barr flare up in years and I don't even get the regular colds and flu that go around to everyone else I know! In my 20's I suffered from Fibromyalgia, chronic fatigue, and the Epstein - Barr virus (chronic Mono). In my search for relief from my symptoms I tried changing my diet, varying combinations of vitamins, minerals, herbal supplements and tinctures, over the counter homeopathic remedies, employing the services of a naturopathic doctor, receiving care from massage therapists, an acupuncturist, a practitioner of jin shin jyutsu (acupressure), reiki, and more. While all of those things were useful in their own way they didn't get to the core of the problem. They worked only as band-aids getting me through to the next thing until I finally met Kristi. I don't know what I would have done without her!" "I am wonderfully amazed with the effect of Rapid Eye Technology and CranioSacral Therapy offered by Kristi. I have found the methods she uses to be fantastically effective. Thank you so much for all you do for me and for all those who visit your healing center. We are blessed with your presence in our lives." "I am seeing so many posts (on Facebook) about this being such a difficult time for people right now - I am so grateful for all the tools I have, for you and Ron I feel the strong support of u two daily, and the honor u have for my role of mother. I am truly supported by the work that u do. And then being able to get up and put on my balance, and serenity in the morning pulls me together and focuses my intention - I was really struggling with overwhelm (probably would have been labeled PPD and medicated) - but because of your support and tools I have had breakthrough after breakthrough - I started to get a little overwhelmed the other day and I audibly heard my highest self say with humor -"that's so 2012" hahaa!! My overwhelmed just dissolved"
Linda A. ~Santa Monica, Ca. ​"Ron was very welcoming, professional, and warm. He was helpful during the two sessions we had, and went beyond expected in creating a personalized recording for me to listen to after we were done with our sessions. I had a great experience with Ron!" Robert R. ~ Denver, Co.
"I really appreciate what Ron has done for me in helping me get on track with my relationship and how to learn that straight communication coming from a place unbiased love is the best way of speaking in troubled times with your significant other regardless of the outcome. I highly recommend Ron with any troubled couples or even curious couples just wanting a more open way to communicate with each other." "Ron has gone above and beyond my original intentions! The journey to change my life and empower my soul has been greatly accelerated by his coaching and teachings. I always look forward to our next meeting. I highly recommend him!" ​"I love Ron!!! He is the best hypnotherapist I have ever worked with and produces the fastest and most amazing results! I know because he helped me before, during and after my cancer surgery and treatments and I am now feeling wonderful! The doctors are amazed at how well I have recovered, and I credit a huge part of it to Ron's incredible healing abilities with hypnosis. I recommend him to all my friends whenever they could benefit from hypnotherapy of any kind. He has also done amazing work for my husband as well! Thank you Ron!"